If you’re looking around for roofing contractors, you probably know that your roof needs to be replaced pretty soon, but you might not know what that process will be like. It’s a little different for every contractor, but most of the good ones are similar. Here’s what you can expect working with Joyland Roofing to be like. When you contact Joyland Roofing, you’ll be put in touch with one of our consultants who will visit your home, walk your roof, and discuss your options in detail with you. Our consultants are dedicated to helping people choose the best roof for their needs, explaining each cost, and listening to your desires and concerns. We’re not a high-pressure sales company. Due to weather, our schedule may change, but we’ll keep you updated and will work around your schedule to make the roofing process as convenient as possible. At this point, you’ll want to make sure you’ve chosen a shingle color that you’re excited about. Our consultants can work with you to decide on a shingle color if you have any questions. Before our crew comes out, we recommend mowing your yard to help with a thorough cleanup, and covering any belongings in your attic, since dust can settle from the roof during the process. Our normal arrival time when working on a roof is between 7 and 8 AM. Our equipment and trucks may need to access your driveway or park in front of your garage – the foreman will work with you to make sure your vehicles are easy to access and safe. Our crews are committed to politeness and professionalism. Unlike a lot of roofing companies, you won’t hear loud music or crude language. Our foremen are happy to discuss your roof and answer any questions you might have. 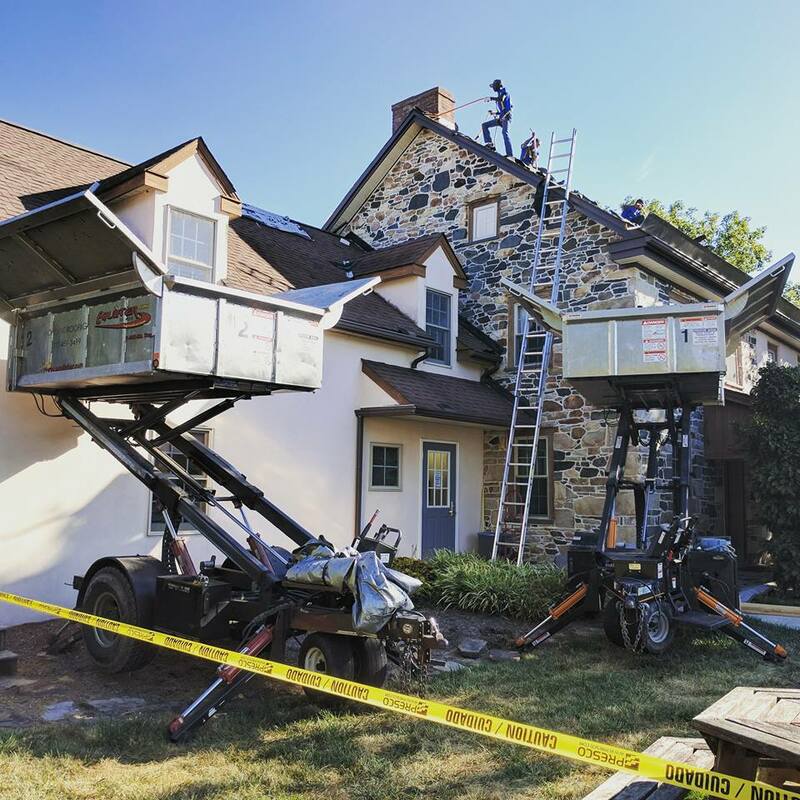 Roofing is messy work, but we use state of the art equipment to contain materials, and we clean your property at the end of every day of work. Some debris will naturally occur over the course of the day, which is important to be aware of until it can be cleaned up, especially if you have pets or small children. Roofing involves a lot of “drop zones” where it might not be safe to walk or stand. Make sure to check with the foreman and learn where it’s safe to enter and exit your house. 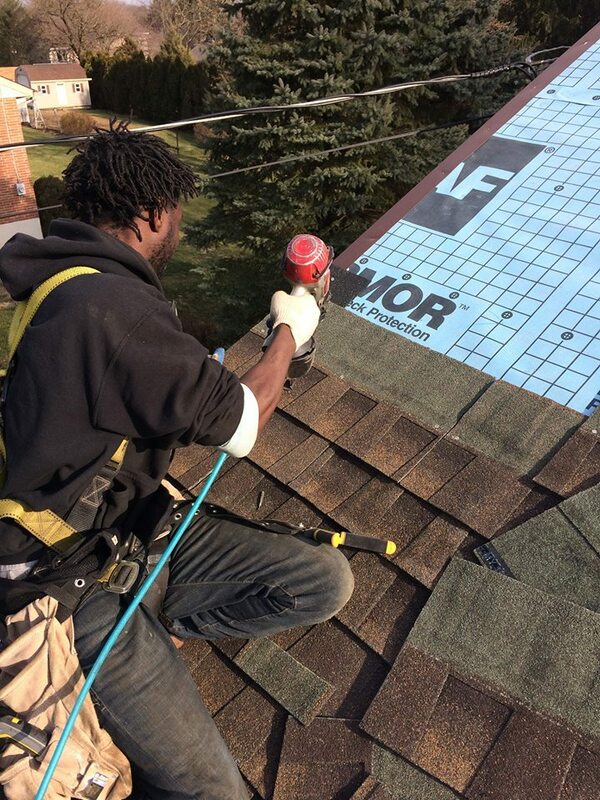 We do everything we can to make sure that homeowners’ normal lives continue uninterrupted during the re-roofing process. Customer service isn’t finished when the roofing is. Our customer service team continues to interact with customers, addressing any questions they might have with their new roof, and continuing to follow up to make sure your roof is everything you wanted and needed. If you’d like to learn more about working with Joyland Roofing, you can contact us at 717-340-9639 or get a FREE estimate. We look forward to helping you with your home!